Social gaming – driven in part by the ubiquity of social networks (do I really need to dredge up the if-facebook-was-a-country-it-would-make-your-country-look-like-chump-change stats?) and (I strongly suspect) our natural human competitive instincts now that hunting and killing are generally frowned-upon – has seen a usage curve that by any measure can be safely said to have exploded off the charts. Here’s a real chump-change-making stat for you: Over fifty million people in the U.S. are playing along with social gaming – and that’s a stale stat from last year. So it was only a matter of time, I suppose, before the gaming trend caught up to the world of wine, despite the world of wine being something like six years behind most every other on-line trend. The basic idea (hatched by VinTank and Cruvee) is that through web-based and mobile apps, you can get awarded badges that unlock passes and rewards for doing what you were gonna be doing anyway (drinking wine). Check out http://vinpass.com/how-to-play/ for the skinny – for the most part, you need to just start playing to really “get it,” but getting it doesn’t take all that long. I’ve got a badge (and a reward!) that you can unlock through VinPass – and that’s all I’m going to say about it because I don’t want to spoil the fun if you decide to play along. Just go play it already! Would YOU play? 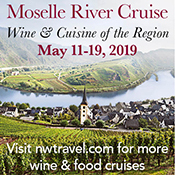 And are you taking your wine mobile? Nice writeup, dude. 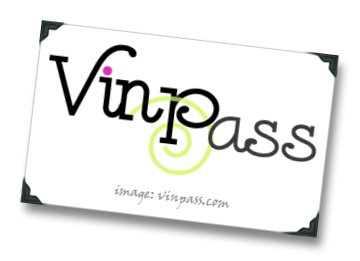 Folks can obtain VinPass and other badges online (non-mobile) at http://www.winelog.net/badges/ Just log and rate wines on the site. I don't know that acquiring the badges is really a game in the competitive sense… it may be for some. For me, it's a nice recognition of something I'm doing already, a slight motivator for me to actually log the wine I'm drinking, and perhaps most importantly a new way to figure out what I want to drink next. I may queue up a wine to buy/drink knowing that I'm just one Bordeaux away from the "Life Gets Better with Bordeaux" pass (http://www.winelog.net/badges/9/Life+gets+better+with+Bordeaux/). Thanks, Jason – your comment reminds me of one of the BEST things that budding wine geeks can do to up their personal wine tasting IQ, which is to log everything they're drinking and be specific about what they like (and don't like) about each of the wines that they taste. There's no faster way to get to the heart of your personal wine taste preferences. I guess the badges / rewards are an extra incentive to do that, and hopefully the different VinPass games help to turn people onto wines, regions, styles, etc., that they might otherwise wouldn't have considered yet. Thanks for the shout out Joe about the new wine app! I signed up! As a total noob to wine I was wondering how I was going to keep track of what I liked and didn't like. This makes great sense! Thanks for the write up. Thanks, ezzirah – I'm curious to how it works out for you, please feel free to stop back and let us know the good, bad and ugly. Cheers! What a great idea! Will check it out right now. Thanks, Julie – feel free to pop back over here and let us know what the experience is like (I don’t have an iPhone or iPad so… :). Cheers!